Apparently, Hollywood has discovered that Christians exist. This spring of 2014, we are witnessing a slew of Christian-themed movies. Son of God and Noah top the list, with Ridley Scott’s Exodus coming out later in the year. My wife and I went to see the surprise film of the season last night, God’s Not Dead, directed by Harold Cronk, based on a book written by Rice Brooks. The basic plot set in Louisiana involves a young college freshman, an evangelical Christian, who gets pitted against a rather annoyingly obnoxious and atheistic philosophy professor. The freshman takes on the challenge to defend the thesis that “God is Not Dead” in front of the whole class under the glaring watch of the atheistic professor’s superior intellect. I am not really much of a film reviewer, but I woke up this morning early with a little insomnia and since the subject directly covers matter that we address here on Veracity, I thought I would share an evaluation. Here is the trailer. The Veracity community is really excited that our church, Williamsburg Community Chapel, along with other churches across the country, will be hosting The Case for Easter simulcast on Sunday, April 6th, 7:00pm-9:00pm. Featuring Christian apologists Lee Strobel, Mark Mittelberg, and Michael Licona, this will be a great opportunity to bring a friend, whether that be a skeptic or perhaps someone who just is not sure, to hear about the evidence for the cornerstone belief in the Christian faith: the Resurrection of Jesus of Nazareth. Can an educated person in a scientific age take such a claim seriously? Muslims and some others say Jesus never died on the cross. Some say that contradictions in the Bible render the New Testament’s empty tomb claim suspect. Did the early disciples hallucinate over the post-crucifixion sightings of Jesus? Are there answers to these questions? Following the 90-minute program, our very own, “Mr. Veracity” himself, John Paine, will be leading a panel discussion to respond to questions from the audience that do not get addressed on the simulcast. It promises to be great event! Dietrich Bonhoeffer understood what it was to take up the cross and follow Jesus, even if it meant stepping out of the norm of what Christians were expected to do. 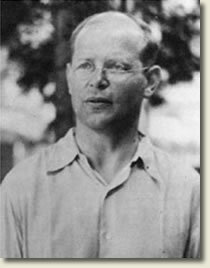 As a young pastor and seminary professor in Nazi Germany, Bonhoeffer knew that Hitler’s regime was setting up an idol to be worshipped, realizing that the German Christian community was getting hookwinked by the Nazis. Why did this Christian pacifist turn into a co-conspirator attempting to assassinate Hitler? The following blog post from our church’s Lenten series reflects on the cost of discipleship that Bonhoeffer had to calculate. Granted, I am painting the standard portrait of part of Bonhoeffer’s life. Questions still abound: Was Bonhoeffer right in what he did in trying to assassinate Hitler? (One of my theological heroes, T.F. Torrance, says “NO”, biographer Eric Metaxas says “YES”). At least one historian disputes that Bonhoeffer ever gave up his pacifist beliefs at all! Did he abandon his evangelical faith in the Tegel prison, accusing the evangelical church with being complicit with genocide? Or was he strengthened in his faith through his ordeal for the sake of the Gospel? The definitive answers to these questions remain buried in some unmarked grave at the Flossenburg concentration camp. Dietrich Bonhoeffer was not able to sleep very well for nights. been spared the terrors of war and enjoy a life of relative ease. Yet Bonhoeffer was troubled in his soul. Matthew 15:21-28 is an example of Scripture that is difficult to understand, until we put the verses in context with other passages. It works on multiple levels to reveal the love of God for all of us. It can be a little too easy to paint this as a story of a woman’s persistence, and miss the deeper lesson that Jesus gave the disciples. Today’s Lenten devotional by N.T. Wright (Week 3, Wednesday), focusing on Matthew 15:21-28, describes one of those passages in Scripture that is difficult to grasp in isolation. What’s really going on here? What does the text tell us about the values of Jesus Christ? Why didn’t He just heal the Canaanite woman when she asked? Is Jesus calling this woman a ‘dog’? Did this woman talk Jesus into changing His mind? Thankfully we have a parallel text in Mark 7:24-29, and a clue about what life was like at this point in Jesus’ ministry in Luke 6:17-19, so let’s put them all together. A recent survey indicates that about 70% of young people stop going to church between the ages of 18 and 22. Many eventually do come back. However, 4 out of every 10 kids who grow up in evangelical churches will leave the church when they get out of high school… and NEVER return. NEVER. I was very young in my Christian faith when I took one of my first religion classes at a secular college. It was entitled “Jesus of Nazareth”. I thought it would be nothing more than a Bible study and an easy grade. After several hours in class, I was scratching my head, wondering whether or not Christianity was really true …or not! It was a mind blowing experience that rattled my faith. Thankfully, I had some good Christian friends and a few good resources from InterVarsity Press to tackle my intellectual doubts. Today, if a young person goes off to college and takes a religion class, chances are very, very high that they will read a textbook written by Bart Ehrman, professor of religion at the University of North Carolina at Chapel Hill. Ehrman grew up in the heartland of evangelical academia, Moody Bible Institute and Wheaton College. Ehrman eventually abandoned his Christian faith and is now perhaps the leading, agnostic New Testament textual scholar in the country. Given all of the TV documentaries and New York Times bestsellers, Ehrman is practically an icon of American popular culture, too. 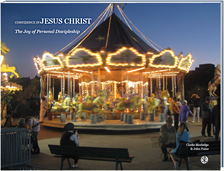 Ehrman’s latest book, How Jesus Became God: Exaltation of a Jewish Preacher from Galilee, promises to challenge deeply held beliefs by Christians (note the up-and-coming book-length response by Australian scholar Michael Bird and others, with the provocative title, How God Became Jesus: The Real Origins of Belief in Jesus’ Divine Nature—A Response to Bart Ehrman). If you think young people in our evangelical churches will not be impacted by prominent skeptics like Bart Ehrman, then I am sorry, you are terribly deluded. I will pray for you. From what I have read so far, this book does not go for the combative, culture war mentality so predominant in many apologetic books of the past. Instead, Bock and his colleagues are trying to foster a type of engaging dialogue that encourages conversation. I think this is the way to go forward in apologetics and the way to approach the type of questions that Bart Ehrman raises. I know of at least one high school student graduating and heading off to college this year. I plan on getting them a copy of this book. How are you going to address the issues that Bart Ehrman raises?